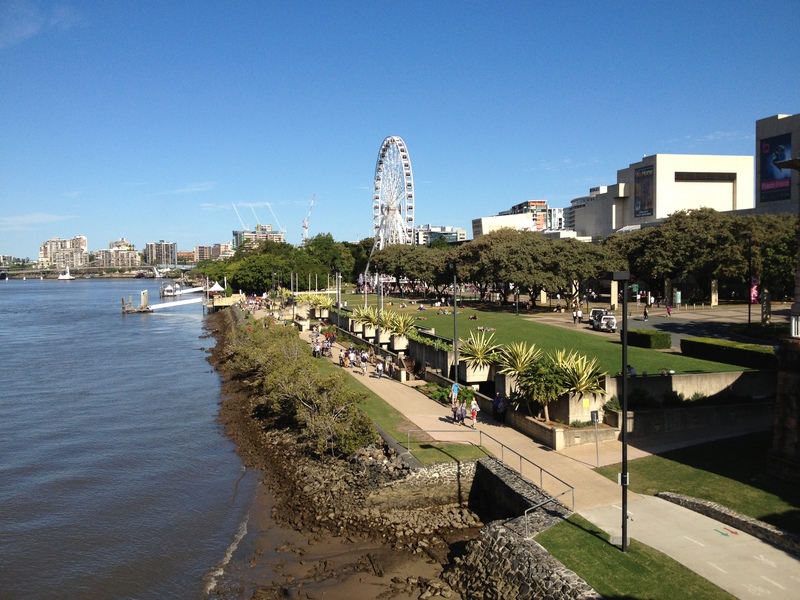 Sitting along the Brisbane River, South Bank Parklands sits in the heart of Brisbane. Towering over the park at 60 m (197 ft), the Wheel of Brisbane Ferris wheel offers you a panorama of the city and its surrounding. When your ride finishes, head to Streets Beach, a manmade beach spreading out over 2,000 sq m (21,500 sq ft) and containing a base of 4,000 cubic meters (5,200 cubic yards) of sand with another 70 tons brought in every summer. Here you can swim in chlorinated fresh water and relax under the shade of a palm tree. Other attractions include the traditionally designed Nepal Peace Pagoda and flowering bougainvillea on the 443 curling steel columns of The Arbour. Numerous restaurants and cafes offer dining options. 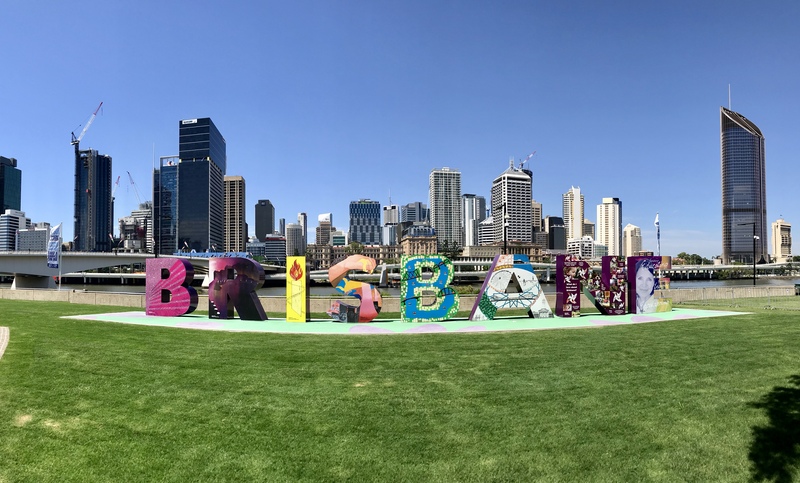 Arrange your visit to South Bank Parklands and discover more family-friendly attractions in Brisbane using our Brisbane vacation planner . Being a tourist the site is just delightful! Everything was just beautiful! People enjoying their time playing with their kids... it's just so relaxing to be there! The facilities are well thought of... the public beach is just awesome! A perfect place to spend that afternoon after a busy day at work. Either it be dining, biking, running, swimming or even just to sit down... you'll surely find this place worth going back to. One of my best place to be around Brisbane. It has got Pools (awesome one with a beach ), Temples, Trees, Gardens, Wheel of Brisbane and other stuffs. It lies nearby the River so, the breeze is just amazing. 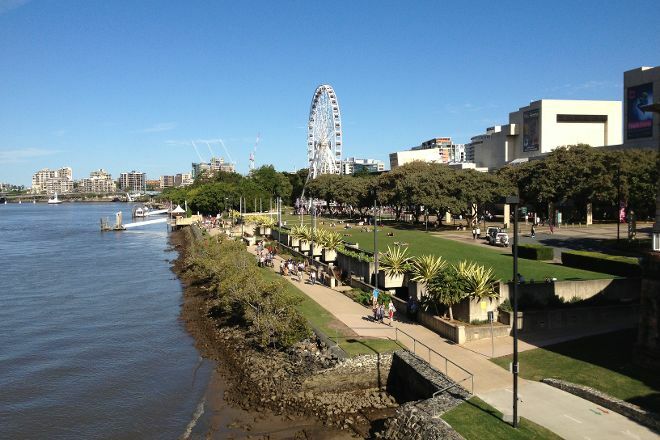 It also connects to Kangaroo Point cliffs and provides landscape view of the city. It is also great place to see fireworks !